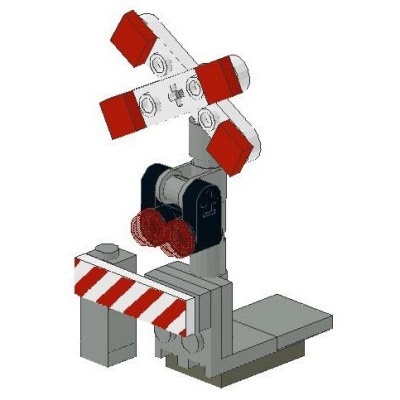 Warning signal for railway crossings. 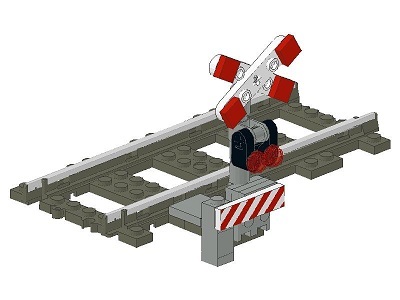 Fits on the track ( 9V or RC). The beams of the cross can be turned to reflect the situation in various countries.